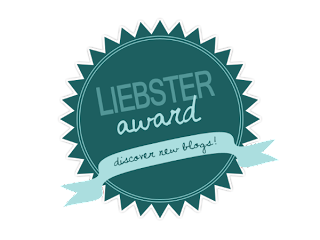 Recently a fellow beauty blogger emailed me and told me that she had nominated me for the Liebster Award. I was not very sure what that meant so I did do some googling and found out that it is an encouragement given to budding bloggers. Anyways, I was tagged by Natasha from http://natashabhatt.blogspot.in/ and she has given me a few questions to answer. I personally think blogging is a way of expressing yourself and our Beauty blogging community has grown so much. From veteran bloggers like Tiffany D and Makeup Geek to new bloggers like BBubbles and Tried and Tested, everyone has been expressing their thoughts, tips and tricks through their blogs. I have also made a lot of good friends through the blogging community. It is a great platform to express and share. I am honored to be a part of this growing community. I think the first makeup item I can remember owning is a pink chapstick that my Dad's friend gave me when I visited her and was completely awed by the amount of makeup she had. This was when I was 4-5 years old. Do you prefer high end makeup or drugstore? I think both, I like high end for base like foundation because I don't get my colour in drugstore makeup. As for everything else I do like using a bit of drugstore and a few high end things thrown in here and there. What would you prefer blush or bronzer? I would say blush. I do own a lot of bronzers but if I have to choose I will choose my blushes. Name one brand's makeup that you feel is underrated. I think that would be Inglot, although now people are trying to check it out more. But I think most women go for the branded MAC just because of the name, when you can find better quality products in Inglot. What is your most cherished makeup product and why? Which actress in Bollywood does the most amazing makeup? I would say Sonam Kapoor. She is always on trend with all the new styles and colours. Name one brand that makes the best eyeshadows according to you? Inglot! Hands down. Pigmented, long lasting, wide range of colours and most importantly- affordable. Which is your favorite lipstick colour family? One makeup item you cannot do without. Lip product- be it lip balm, lipstick, lip gloss I need one of them to make me look human. Name one blog/website you love. Temptalia. Your all in one stop for all things beauty. I nominate the following beauty bloggers to answer the questions I list. If you do the tag do let me know I would love to read your answers. 1) What is your most used beauty product? 2) If you had to pick 3 items from your collection to take with you on a holiday what would they be? 3) Concealer before or after foundation? 5) Lipstick or lip gloss? 6) Have you tried organic products before? If yes, which is your favorite? 7) Mascara on bottom lashes, Yay or Nay? 8) Makeup brushes, sponges or fingers? 9) Most underrated brand according to you? 10) Splurging on skin care or splurging on makeup? Answer the questions in a blog post. Tag 10 bloggers and provide questions for them to answer. Inform the bloggers that they have been tagged. Add the Liebster badge to your blog. I hope you enjoyed reading my answers to Natasha's questions. If you would like to read her post where she tagged me, you can read it here. Thanks for tagging me! I loved reading your answers! Inglot is one of my favourite ever brands too! Will do my best to do this, lol, I sometimes forget! Ha Ha Ha don't worry I will keep reminding you to do so!! Thank you so much for the mention and for tagging me! Loved all the questions you asked too! Great answers, lovely! I'll do my best to try and remember to do this one, as like Nalini I'm more than often forgetful when it comes to other people tagging me to do things!